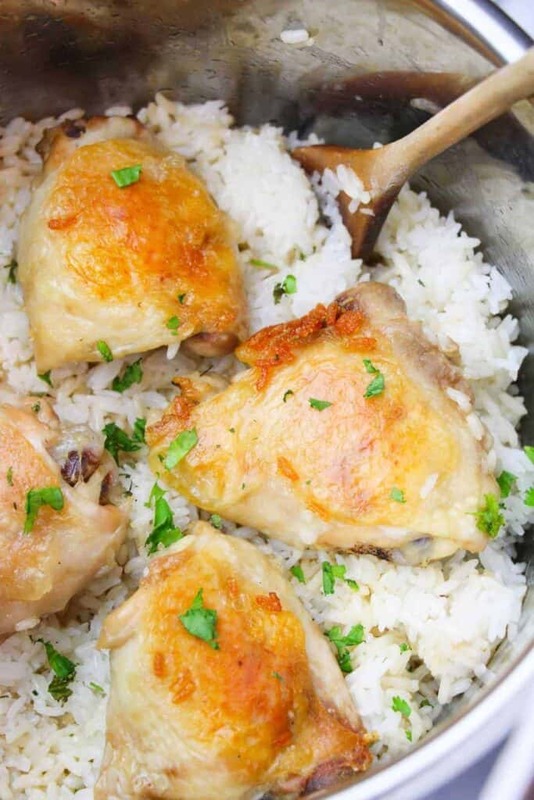 I am a huge fan of cilantro and lime, so this Instant Pot Cilantro Lime Chicken and Rice recipe is one of my new faves! 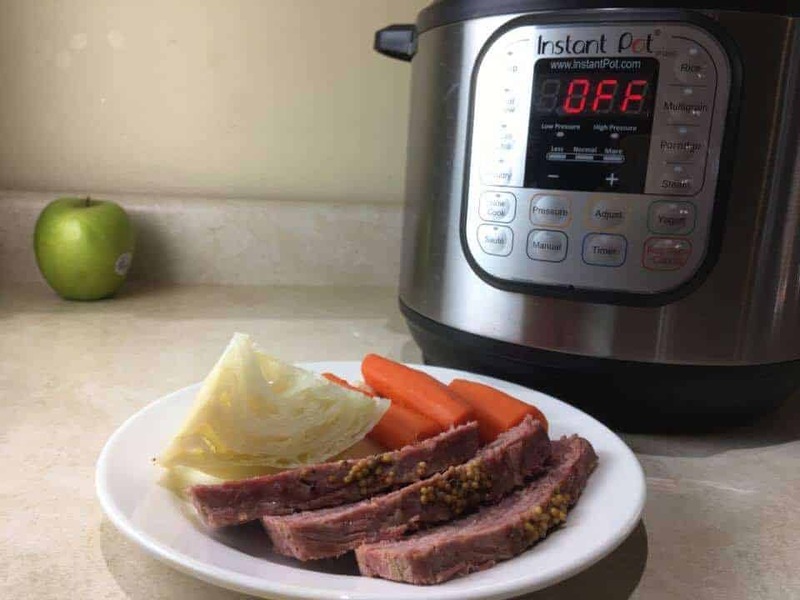 The Instant Pot has quickly become my favorite kitchen appliance, cutting my cooking time down drastically. 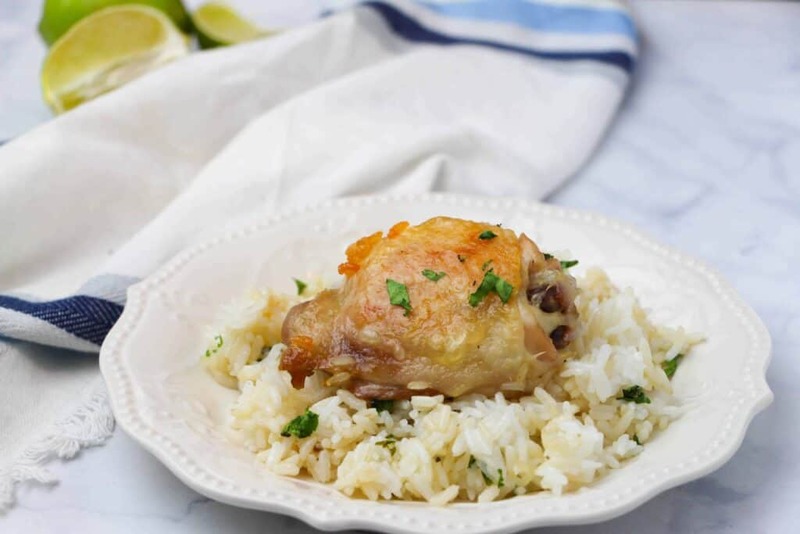 I am constantly looking for new Instant Pot dinner ideas and today I want to share this Instant Pot Cilantro Lime Chicken and Rice recipe that is so good. Ever since I fell in love with this Copycat Cilantro Lime Rice recipe I’ve been hooked on all things cilantro lime, including this simple and delicious dinner idea. 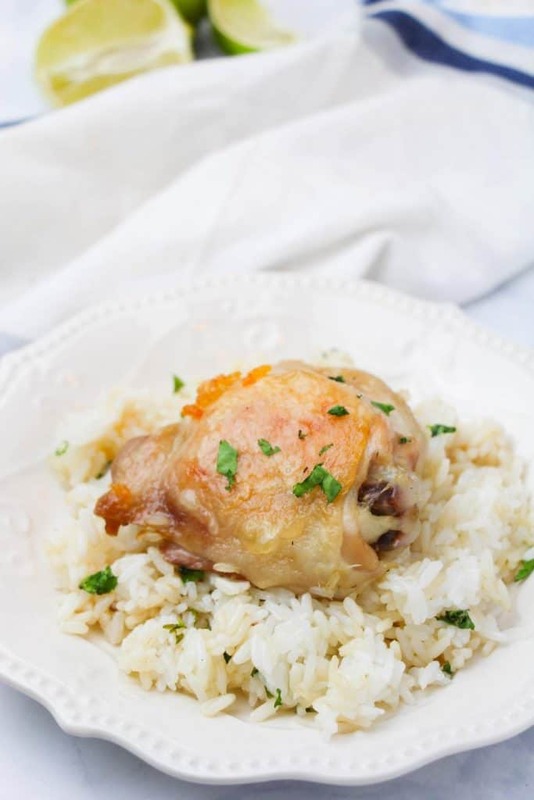 There are two ways that you can choose to make this chicken recipe in the Instant Pot. You can choose to just throw it all in and cook it or if you can saute your chicken first a little to make it look more appealing. Either way it will taste pretty much the same. 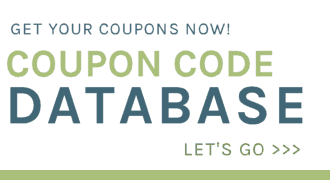 Scroll down to find the Non-Sear Directions. Place 1 Tablespoon olive oil in the Instant Pot and select “saute” setting. 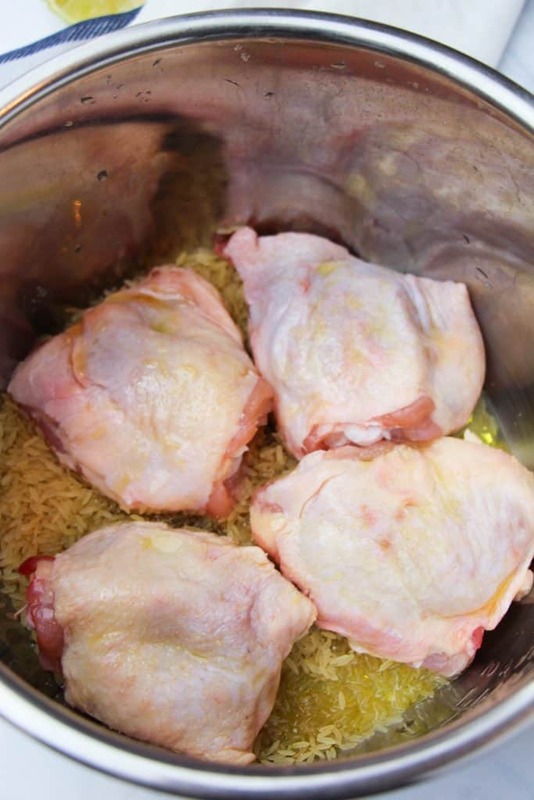 Season the chicken with approximately 2 teaspoons salt as the oil heats up. Place the chicken skin side down and sear for 2-3 minutes, until the chicken lifts away easily. Remove from the Instant Pot and add remaining oil. Rinse rice until water runs clear and then add to the Instant Pot. Saute rice for 3 minutes, then turn off saute setting. 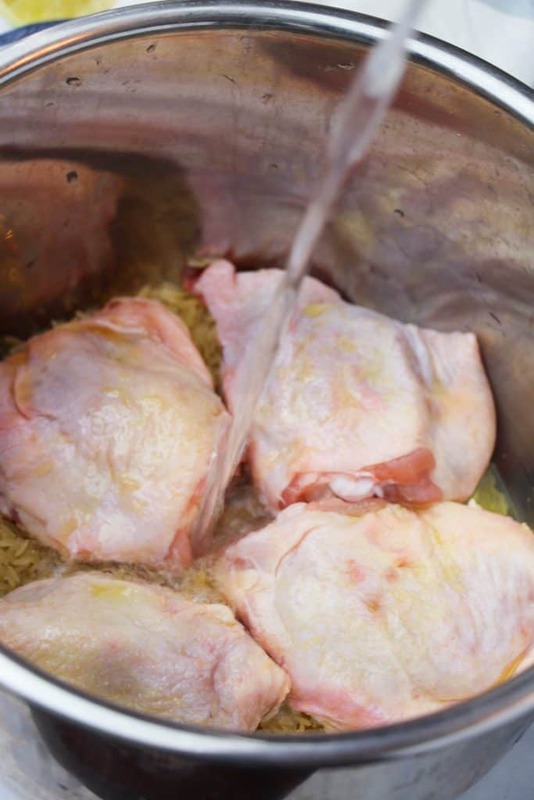 Place chicken over the rice, then add bay leaf and water to the pot. Secure lid and select “poultry setting” for 10 minutes. Natural or quick release, remove bay leaf, then stir in lime juice, remaining salt and cilantro. Place 1 Tablespoon olive oil in the Instant Pot and select "saute" setting. Secure lid and select "poultry setting" for 10 minutes. Place 1 Tablespoon olive oil in the Instant Pot and select "saute" setting. 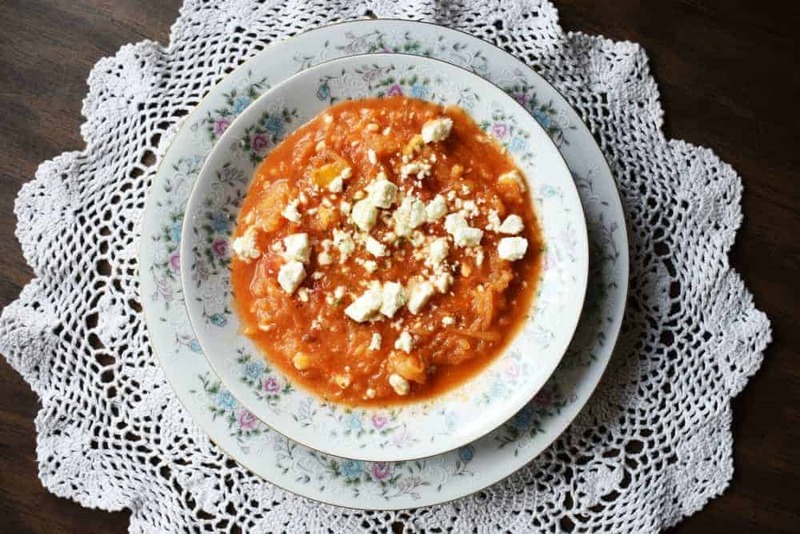 Rinse rice until water runs clear and then add to the Instant Pot. Saute rice for 3 minutes, then turn off saute setting. 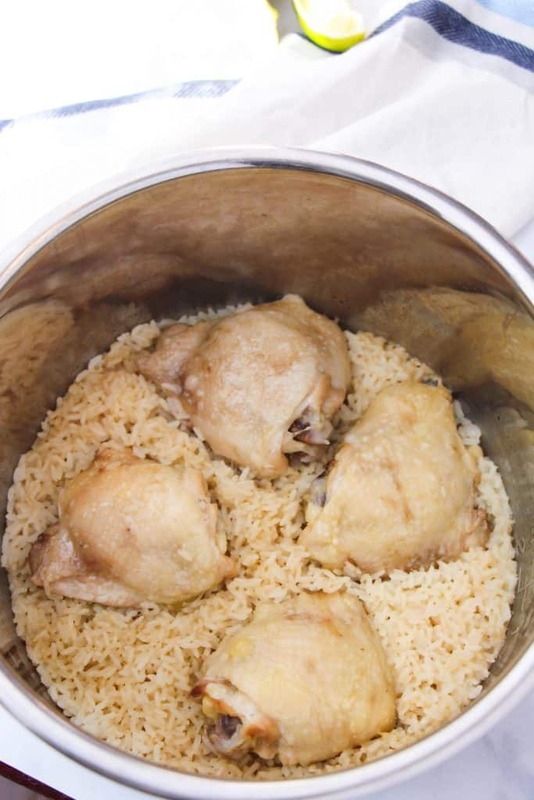 Place chicken over the rice, then add bay leaf and water to the pot. Secure lid and select "poultry setting" for 10 minutes. Natural or quick release, remove bay leaf, then stir in lime juice, remaining salt and cilantro. Could I use breasts instead of thighs? Would it Lter the cook time? Hey Danielle! We just made this recipe the other night at my moms and used chicken breast and just followed the same directions. It came out great!